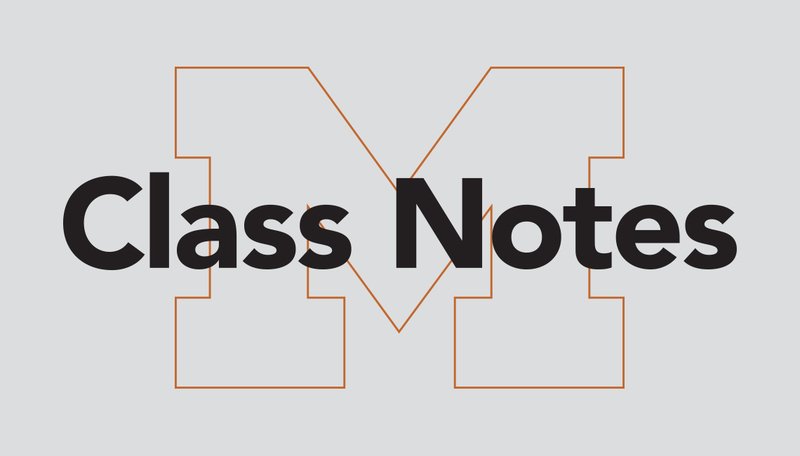 We are proud to share your stories with our Medical School community in Class Notes. Submit your alumni news at medicineatmichigan.org/submit-class-notes. Thomas H. Corbett (M.D. 1963, Residency 1969), along with photographer Lee Marmon, wrote Laguna Pueblo: A Photographic History. It won the 2016 Western Heritage Award for Photography from the National Cowboy & Western Heritage Museum; the 2015 Southwest Book Award from the Border Regional Library Association; two 2015 New Mexico-Arizona Book awards for Arts Book and Best Book; the 2015 Southwest Books of the Year award; and the 2016 Southwest Book Design and Production awards for Trade Book, Illustrated, and Art and Photography from the New Mexico Book Association. Stewart E. Teal (M.D. 1964, Residency 1968) recently received the Volunteer Clinical Faculty Distinguished Teaching and Service Award from the Department of Psychiatry and Behavioral Sciences at the University of California, Davis. Jerome I. Tokars Jr. (M.D. 1976) co-wrote “Outbreak of Middle East Respiratory Syndrome at Tertiary Care Hospital, Jeddah, Saudi Arabia, 2014,” which was published in the May 2016 issue of Emerging Infectious Diseases. Tokars is associate director for science in the Influenza Division of the National Center for Immunization and Respiratory Diseases. Barry Gross (M.D. 1977), professor emeritus of radiology, received the 2016 Michigan Radiological Society Gold Medal. Daniel Skupski (M.D. 1985) was appointed chairman of obstetrics and gynecology at New York-Presbyterian/ Queens in 2016. Skupski, who also authored Twin to Twin Transfusion Syndrome in 2013, is professor of obstetrics and gynecology at Weill Cornell Medicine in New York City.